No longer known simply as the jumping-off point to the Rocky Mountains, Colorado’s capital has finally become a desirable destination in its own right (even trumping several hyped-up US cities in the cool stakes). Nowadays, this former railroad town tempts with a booming foodie and arts scene, perfect parks for biking and hiking, fabulous shopping streets, over 300 breweries, seven professional sports teams, and a backyard teeming with outdoor adventures. Best of all, it’s sunny here 300 days a year (even in spite of the snowy winters). Here’s are the 10 best things to do in the modern metropolis of Denver, that appeals to hipsters and history lovers as much as active types. Where: At 1340 Pennsylvania Street. 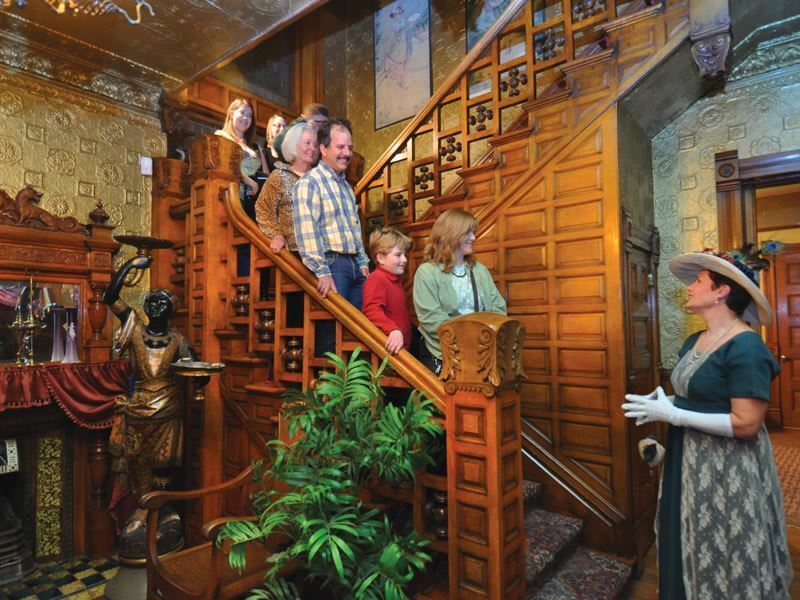 What: The clue’s in the title at the Molly Brown House, the tribute museum on Capitol Hill that tells the story of RHS Titanic survivor and Denver resident Margaret Tobin Brown (the nickname Molly was largely a Hollywood invention). Built in 1889 and designed by esteemed architect William Lang, this gorgeously-preserved Victorian property (also known as the House of Lions) comes with an elegant parlour, formal library, dining room, sunroom, lashings of period pieces, and many of the “unsinkable” philanthropist, socialite and activist’s personal belongings. Highlights: The copy of Mrs Brown’s insurance claim (which was denied) hanging in an upstairs hallway and the photos of Lifeboat No. 6. (in which she famously sat) are the obvious highlights. But there’s also a huge amount of private papers, lavish artworks (paintings, statues, tapestries), and cherished personal possessions to grab your attention. The only way to see this remarkable property is on a 45-minute guided tour, for which tickets are available at the Carriage House Visitor’s Centre on a first-come basis. Where: At 2001 Colorado Boulevard. 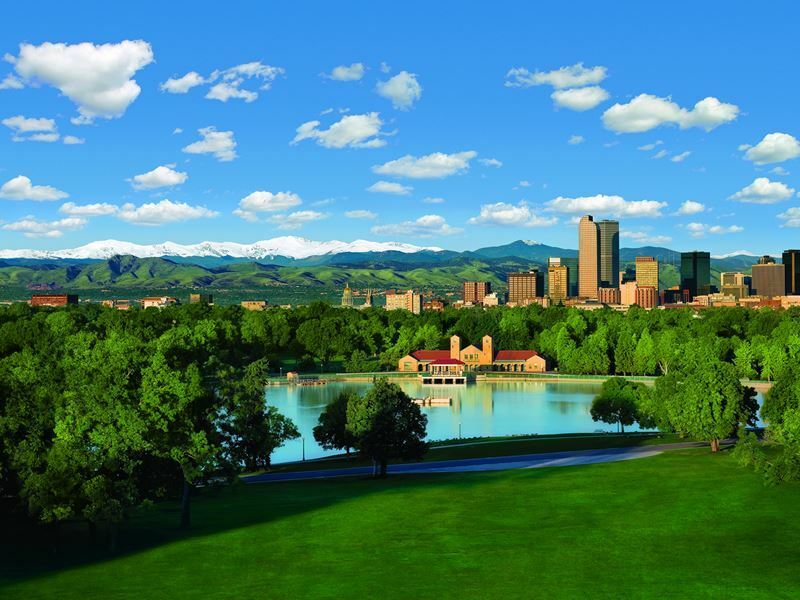 What: Denver has more than 200 parks, making it one of the largest city-park systems in the USA. But it’s the 330-acre City Park that gets all the love; not least because it comes with flower-filled gardens, two lakes, tennis courts, sports fields, picnic sites, and two playgrounds, There’s also a public 18-hole golf course built by Tom Bendelow (nicknamed "The Johnny Appleseed of American Golf") in 1913. Here you’ll find steeply angled tree-lined greens, long par three holes, consecutive par fives, a putting green, a driving range, and some of the city’s best skyline views. 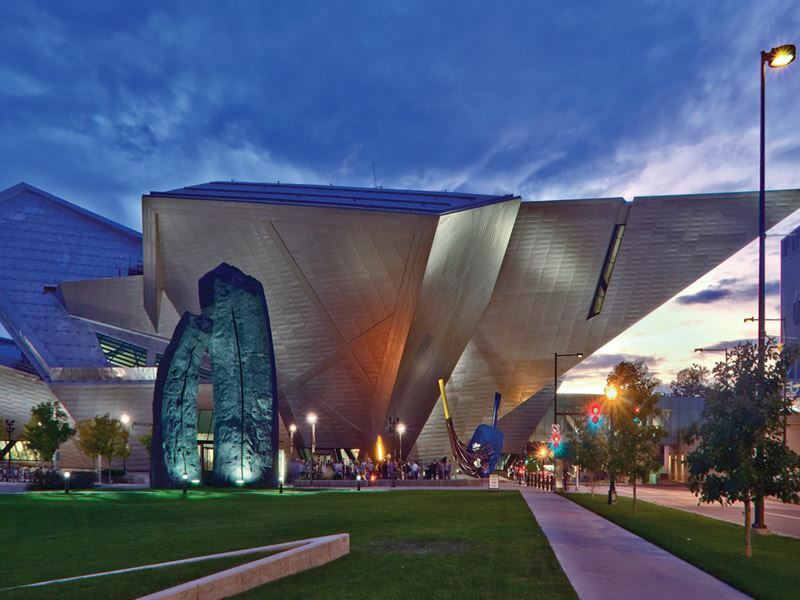 Highlights: Located on City Park’s eastern edge, the Denver Museum of Nature & Science has a planetarium, IMAX cinema, and awe-inspiring permanent exhibits including Egyptian Mummies, North American Indian Cultures, Space Odyssey, and the award-winning Prehistoric Journey. The park is also home to the Denver Zoo - a top-notch zoological complex where you’ll find 700 animal species (around 3,500 individuals) in enclosures that resemble their native habitats. Don’t miss the Asian-tropic themed Toyota Elephant Passage - a $50-million outdoor exhibit with two miles of interconnected trails and a fair few Asian elephants, Malayan tapirs, and Indian rhinos. 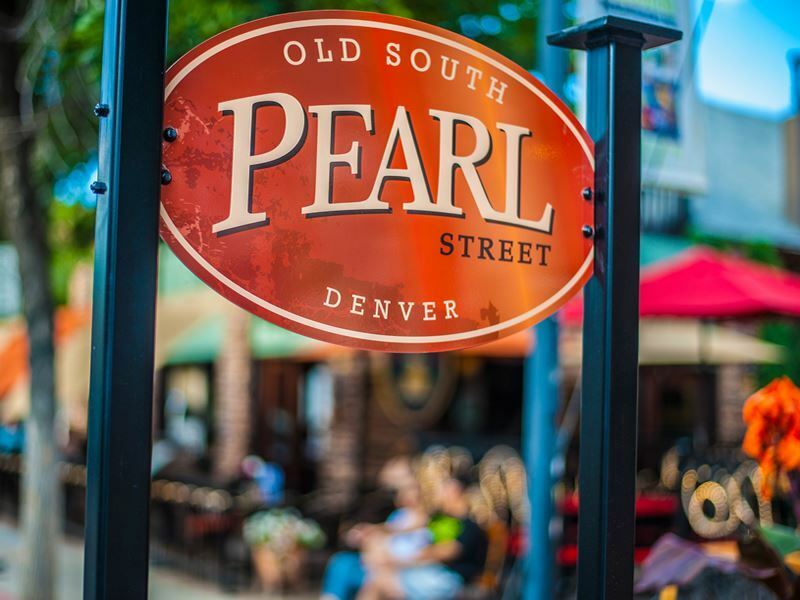 What: While the 160-strong Cherry Creek Shopping Center and the mile-long 16th Street Mall both have plenty to attract shoppers, Denver’s independent boutiques definitely up the ante. After hitting the speciality shops at historic Larimer Square, make your way to Rockmount Ranch Wear to stock up on their famous snap-button Western shirts (invented here by “Papa” Jack Weil in the 1940’s). Another beloved gem is Tattered Cover Book Store where you can browse for a rich selection of titles in the cosiest of settings (squashy chairs, reading lamps, nooks and alcoves). Highlights: Fashion lovers should hit Common Threads on Pearl Street for high-end brand names without the price-tag shocker, Goldyn on 2040 West 30th Avenue for an up-to-date mix of clothes and funky accessories you won’t find anywhere else, and Oster Jewelers on Steele Street for luxury watches and one-off pieces. Also head to the Art District on Santa Fe to track down two superb shops: Garage Vintage for mid-century modern furniture and décor, and Ninni & Foffa's for farmhouse-style vintage furnishings, upcycled furniture, and unusual gifts. Where: At 17th and Wynkoop Streets in the LoDo district. What: Denverites couldn’t be prouder of their iconic station (nicknamed the “Living Room”) that was given a £40-million facelift in 2014. Originally built in 1881, this gleaming travel hub serves the city with its FasTracks light rail line, Amtrak train and RTD bus route. But a visit here is more about the glam restaurants, coffee shops and boutiques that line the 12,000-square-foot Grand Hall than the transportation options. 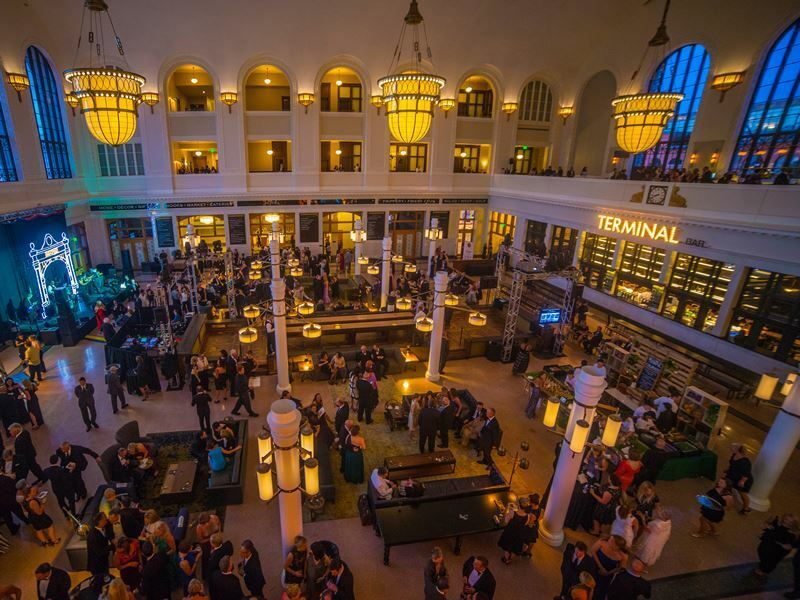 Most standout is the Terminal Bar housed in the restored old ticket station, not least for its 30 regional draft beers and distilled-in-Colorado spirits. Highlights: Even if you’re not staying at the station’s newly-opened Crawford Hotel, it’s worth a look for its rail-themed accommodation - especially the art deco Pullman Rooms modelled after the luxury sleeping cars of old. Also excellent is the Union Station Farmers Market that runs on Saturdays (9am to 2pm) from the beginning of June to the end of October. Here you can stock up on Colorado-made goodies from 40 different vendors, including fruits, vegetables, artisan cheeses, freshly-baked breads, beauty products, and much more. What: For planes, trains, automobiles, and more, Denver is home to five major museums. Head to the Forney Museum of Transportation for its giant collection of cadillacs and one-of-a-kind vehicles (including Amelia Earhart’s yellow 1923 Kissel Speedster), and then visit Wings Over The Rockies Air & Space Museum for its historic airplanes and space vehicles (including the B-52 Stratofortress, 1926 Eaglerock “Longwing”, and X-Wing fighter). Equally cool is the Cussler Museum in nearby Arvada for its 100-plus antique autos, including the 1906 Stanley Steamer. Highlights: Housed in a replica of a 1880's-style depot, The Colorado Railroad Museum is a train-filled wonderland that tracks the history of the state’s flamboyant railroad era with exhibits, displays, and 15 acres of sprawling grounds filled with over 100 narrow and standard gauge locomotives, cars, and other rolling stock. Also excellent is the free-to-enter United States Air Force Academy campus just 45 minutes outside the city for its Top Gun-style aircraft, self-guided tours, visitor’s centre, and not-to-be-missed Cadet Chapel, Honor Court, and Falcon Stadium. Where: At 2001 Blake Street. 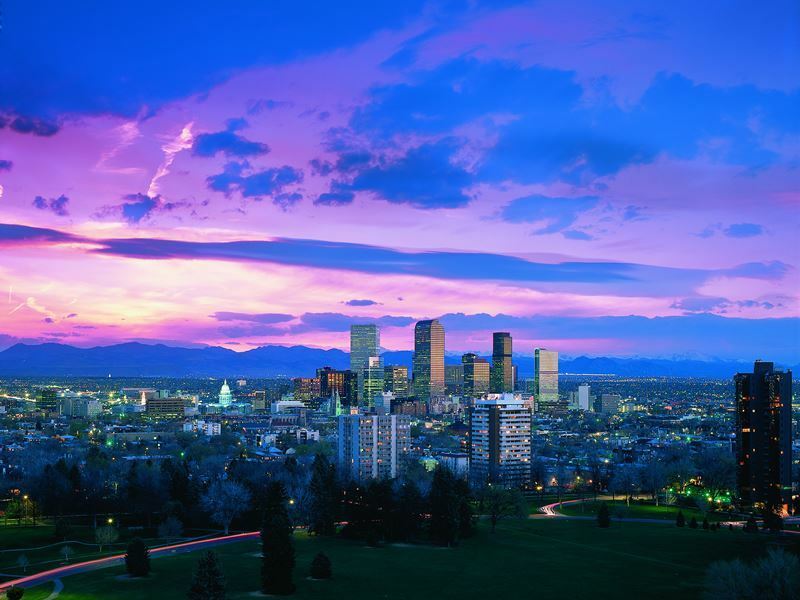 What: Given the Mile High City has seven professional sports teams (including basketball's Denver Nuggets, ice-hockey’s Colorado Avalanches, lacrosse’s Colorado Mammoths, and football's Denver Broncos), it’s no surprise that it radiates with hometown pride. For Major League Baseball (MLB) fans, nothing beats watching the Colorado Rockies hit homeruns at Coors Field - the huge downtown ballpark with a 50,445 capacity and purple-painted seats in the 20th row of the upper deck to mark its elevation of exactly one mile (5,280-feet) above sea level. Highlights: The addition of a new 38,000-square-foot, two-storey, multi-million-dollar party deck known as the Rooftop has had a huge thumbs up from fans. 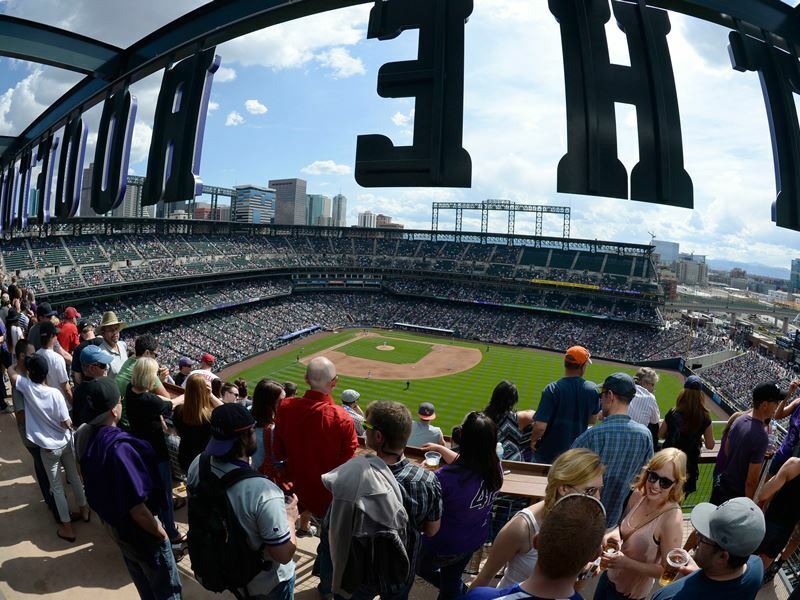 It comes with a long terrace overlooking the ballpark, downtown Denver and the snow-capped Rocky Mountains as well as a burger restaurant with a show kitchen that’s open on all four sides. There’s also a bar measuring exactly 52 feet and 80 inches long (it offers 52 craft beers on tap). What: Denver brews more beer than any other US city and is rather proud of its "Napa Valley of Beer" moniker. 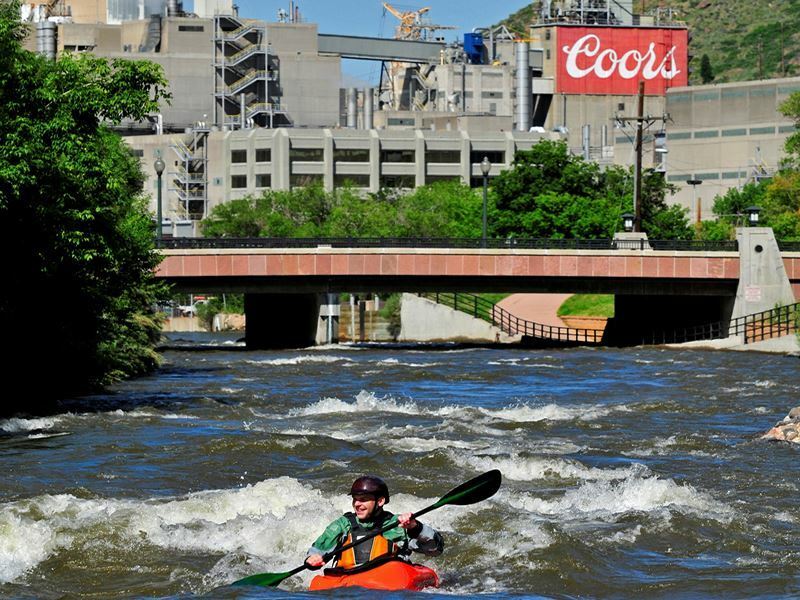 Unsurprisingly, the tour-a-brewery business is huge, but if you only have time for one show-round, make it Coors Brewery - the world’s biggest single-site brewery in Golden, just 15 miles west of Denver. The 30-minute summer tours are completely free and include visits to the brewhouse, malthouse, and packaging complex. The obvious highlight is the “fresh beer room” where you can sip a cold sample whilst sitting on benches made from ice-cubes. Highlights: Other popular places where the truly thirsty can see how breweries create their craft beers (and sample them) include the Great Divide Brewing Company's Brewery and Tap Room, and Wynkoop Brewing Company - Denver's first brewpub that was co-founded in 1988 by Denver politician John Hickenlooper. Alternatively, hop aboard the Mile High Tap Tour’s 12-passenger van to be ferried around locales near South Broadway and along the Sante Fe corridor. The tour takes around four hours. Where: At 1007 York Street. What: Most famous as one of the filming locations for Woody Allen’s 1973 classic, Sleeper, these lovely themed gardens in the Cheesman Park neighbourhood feature a conservatory, a sunken amphitheatre for summer concerts, year-round educational and research programs for green-fingered types, and rotating exhibits. 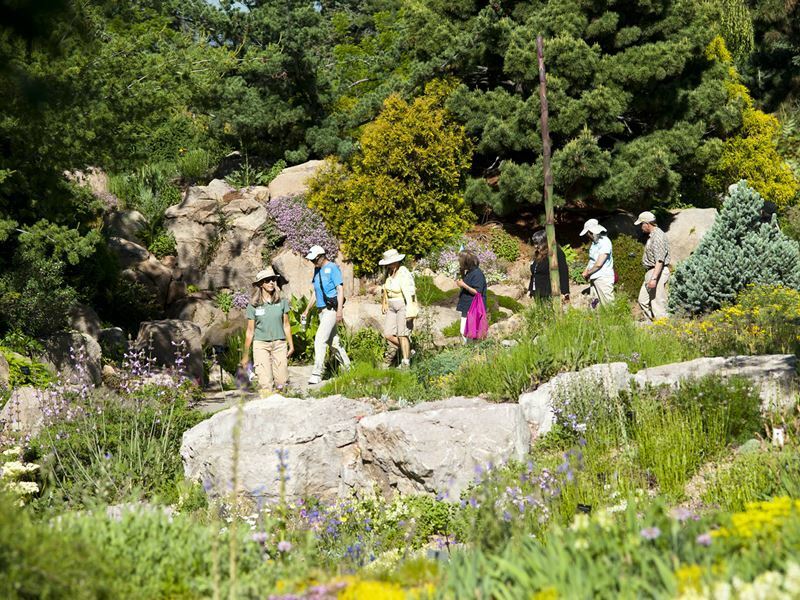 There’s actually three locations that make up the Denver Botanic Gardens collective: York Street (main site and formal garden), Chatfield (natural meadow and riparian areas), and Mount Goliath (alpine wildflower garden and hiking trails). Highlights: In the main site at York Street, the gardens fall into five categories: Gardens of the West, Internationally Inspired Gardens, Ornamental Gardens, Shady Gardens, and Water Gardens. Further highlights include the magical three-acre Mordecai Children’s Garden for experiencing the plant life and natural environment of six different Colorado ecosystems, and the Science Pyramid for interactive technology (touchscreens, light, sound, video) and a more scientific view of the world of plants. 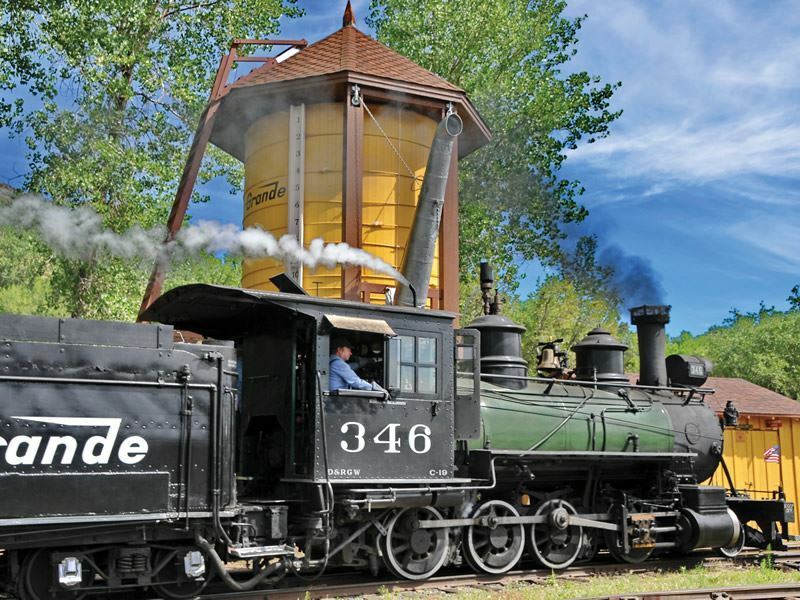 What: The rich history of railroading through the Rockies has inspired railroad buffs for years, and there’s plenty of thrilling train rides that give visitors a chance to connect with the past. 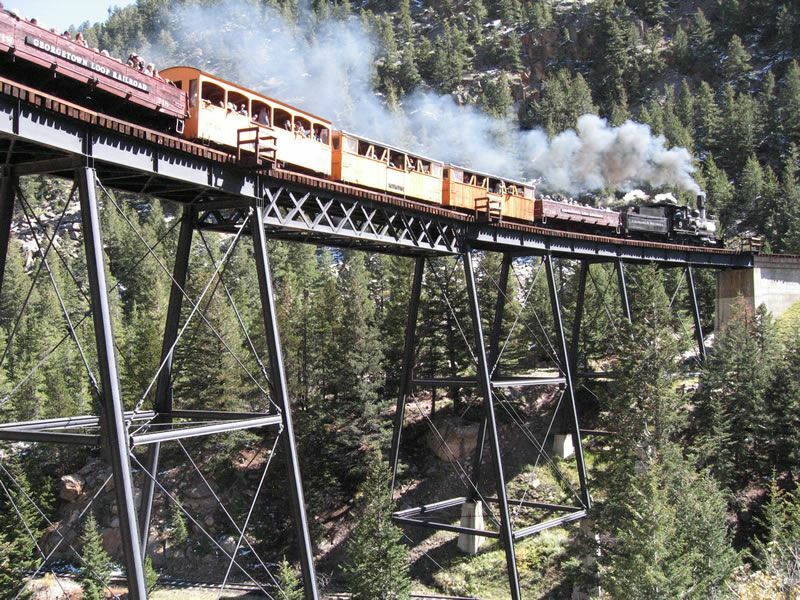 One of the best is the Georgetown Loop Railroad that takes you between Georgetown and the tiny mining town of Silver Plume during the peak summer season. Reaching around 600-feet in elevation, the two-mile ride offers astounding views of Devil's Gate High Bridge and the mountains. Pre-booking is recommended. Highlights: To relive the days of yesteryear, hop aboard the Denver Trolley - a replica of an open-air "Seeing Denver" streetcar operated by the Denver Tramway Company in the pre-World War I years. Equally fascinating is Tiny Town - a one-sixth-scale Western village built in 1915 that has around 100 handcrafted miniature buildings. Here you can take a ride in open-air cars pulled by authentic steam locomotives similar to those that once worked the mountains. Trains depart every 30 minutes. What: Given that Denver is a city with art at its heart, there’s no shortage of incredible places to visit; from the futuristic-looking Museum of Contemporary Art for modern masterpieces, to the RiNo Art District for street art and independent galleries. And while you don’t have to go to a museum to see it (there’s murals, whimsical sculptures and public art city-wide), it would be a shame not to. Three of the best include Denver Art Museum for Native American art, the Kirkland Museum of Fine & Decorative Arts for every 20th-century art genre ever invented, and the Clyfford Still Museum for rule-breaking works by one of the first ever Abstract Expressionists. Highlights: Held every November, Denver Arts Week is one of the city’s biggest (and best) annual events. It's an eight-day festival that takes place at six neighbourhood art districts, 20 museums and 100 art galleries - all of which highlight the city's visual and performing arts. There’s usually around 300 events, many of which offer Denverites (and visitors) deeply discounted tickets. This year's Denver Arts Week takes place between 3 and 11 November 2017.